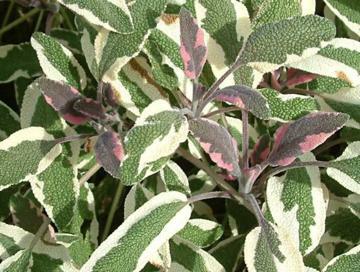 Variegated form of the culinary sage with leaves irregularly margined creamy white and flushed pink when young. Lavender blue flowers in late spring. Low growing. Best in sharply drained, fairly poor soil in full sun and a warm position. Not as strong growing and tolerant as other forms.